Jonathan Gould, Writer » It’s time to win with ebooks! It’s time to win with ebooks! 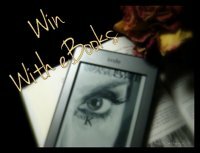 Over the next few days, until February 15th (inclusive) to be exact, I’m participating in an exciting event titled Win with eBooks. What does this involve? It’s very simple. Twenty writers have banded together and we’re all offering our books up for 99c. So there’s heaps of great books available at a bargain price. A $10 Amazon gift card. And there are lots of different ways you can be entered in the draw. Just tweeting about the giveaway or liking the FB page (http://www.facebook.com/winwithebooks) will get you in the draw. And of course, buying the books. But make sure you check out the selected books each day, because buying these will give you double points. More information on exactly what you need to do is provided on the site. So make sure you join in the fun. Come along to Win with eBooks, get yourself into the prize draw, and, most importantly, stock up on some fantastic reads.